Southern Wine and Liquor commissioned me to create “The Gentleman” Memorial Corporate Painting for one of their long time and well loved by his co-hearts. 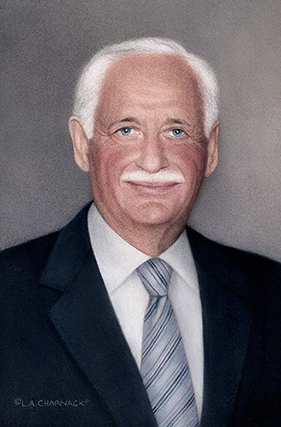 Having served in the Alcohol Beverage Industry for 41 years, he was remembered by his friends and family because he had the rare combination of being first and foremost a Friend, Confidant and Adviser whose professional accreditation, acute reasoning and superior intellect was always balanced by the human consequences of his decision. His true loves were his family, tennis and relating his experiences of service to our country in World War II.